One of the perks of airline elite status is getting bumped up to a premium cabin, but the upgrade process is complicated and it’s sometimes hard to predict when you’ll be accommodated. Today, TPG Senior Points & Miles Correspondent Nick Ewen looks behind the curtain of upgrade priority on American Airlines. Traveling in itself is a wonderful thing. Traveling in first or business class is even better. While most airlines offer upgrades, they don’t always make clear the exact process for upgrading flights to the next class of service. Now that American and US Airways have merged their respective loyalty programs, you may be facing a new (and bewildering) array of options, so today, I want to go through how American Airlines handles upgrades to help you know what to expect the next time you fly. 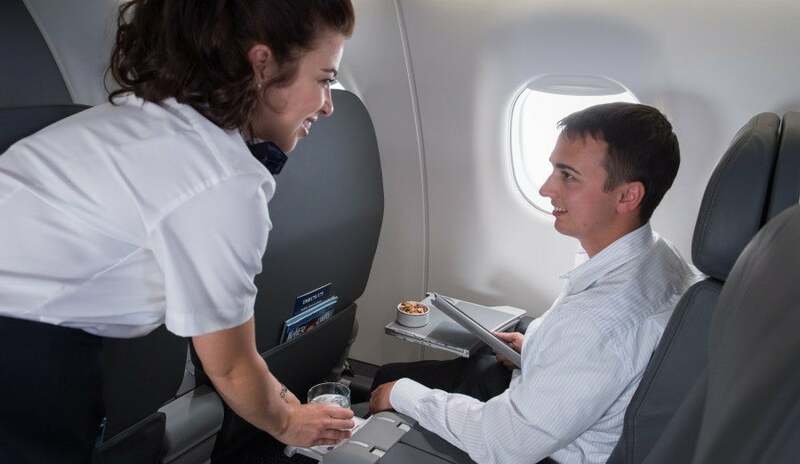 How can you ride up front on your next American or US Airways flight? For those of you who missed it, this past Saturday, the Dividend Miles program was officially integrated in the AAdvantage program, so from this day forward, the upgrade process is much cleaner than it has been over the last several months. This is mainly due to the fact that every elite flyer (whether from pre-merger American or pre-merger US Airways) is on a level playing field with one of three elite levels: AAdvantage Gold, Platinum, or Executive Platinum. Book flights that are marketed and operated by the same airline, not codeshare flights. In other words, don’t book a trip with a US Airways flight number operated by American, and don’t book a trip with an American flight number operated by US Airways. If you do, you’ll need to wait until the day of departure for any potential complimentary upgrade, which was how this worked across carriers pre-integration. In addition, you cannot use systemwide upgrades or miles to upgrade when you book a codeshare flight. You’d want to book flights 710 and 792 directly with US Airways, but all others on AA.com. At the end, I’ll do my best to combine these methods to give you a sense of the final upgrade standby list at the gate. As I wrote about last week, Friday March 27th was the last day to redeem your Chairman’s Preferred upgrade certificates, but over the weekend, you should have received 8 Systemwide Upgrades (SWUs) as a result of your “new” Executive Platinum status. These upgrades are valid on any paid ticket. Unlike before the integration, these SWUs are now valid on both American and US Airways-operated flights, though the process for utilizing them is a bit different. Unfortunately, you’ll still need to call the elite services desk to confirm the upgrade, though if there isn’t availability, you can be wait listed. There’s no way to check availability for US Airways flights on US Airways.com, so you’ll need to call reservations and request the upgrade. Unfortunately, there isn’t a wait list option for flights operated by US Airways, so you’ll need to keep checking back if inventory isn’t available at the time of booking (or the time of your request). The upgrades should be deposited into your account within 48 hours of reaching Executive Platinum status, and they are valid for the rest of that year and the entire following program year. You can use these upgrades for others, even if they are not traveling with you. Just be sure to call in advance. The upgrades are valid on any American or US Airways flight (unlike Chairman’s Preferred upgrades, which only applied to long-haul flights). If an upgrade isn’t available at the time of request, you will only be wait listed for the longest flight in your itinerary; shorter flights are confirmed (or wait listed) after the long-haul flight is confirmed. This ensures that you don’t “waste” your upgrade on a flight like STL-ORD on your way to Tokyo. For more information, see American’s Systemwide Upgrade page. The same inventory buckets (A for first class on American and C for business class on both American and US Airways) must be available for these upgrades, but just like using SWUs, they’re only transferred to the standby upgrade list at the gate for American-operated flights if you don’t clear in advance. For US Airways-operated flights, you must confirm the upgrade immediately or continue to check inventory leading up to the flight, either by calling or through ExpertFlyer. The first two categories have been relatively straightforward, but here’s where things get more complicated. Again, this is because the two carriers, though operating under a single loyalty program, still use separate reservations systems. Because of this, upgrades are handled a bit differently. As a reminder, always book flights directly with the operating carrier. Otherwise, your only chance at an upgrade is within 24 hours of departure. Both carriers have the same fare class (X) for complimentary upgrades. As of now, this inventory is available on ExpertFlyer for US Airways flights. However, I wouldn’t be surprised if that goes away as the two move toward a single reservations system. Complimentary upgrades on US Airways-operated flights will work differently until the carriers move to a single reservation system. Your companion is actually eligible to clear into first class with you in advance (if there’s availability). Unfortunately, elite members booking Y or B fares are no longer eligible for instant upgrades like they were with Dividend Miles; instead, they’ll be confirmed (with priority) during the applicable upgrade window. If your upgrade is not cleared at your window, the system will continue to check for inventory until 24 hours before the flight. Within 24 hours, you can request to be added to the airport standby list. However, you must be the only person in your reservation. If you’re traveling with a companion, you’ll need to separate the reservations; he/she is then no longer eligible for an upgrade. Priority on the airport standby list is elite status first and then time of check-in, so if your upgrade doesn’t clear ahead of time, be sure to check in for your flight as close to the 24 hour mark as possible! Once the reservations systems combine, these policies will likely cease to exist, and should be replaced by the American policies detailed below. The upgrade program on American can be a little convoluted. If you’re an Executive Platinum member, this is very straightforward: you’re entitled to unlimited complimentary upgrades on all paid fare classes on all flights, which is exactly the same benefit you enjoyed before the programs were integrated. In addition, if your flight is less than 500 miles long, all elite members will enjoy complimentary upgrades. For all other flights and elite levels, you must use 500-mile upgrades. These 500-mile upgrades cause a lot of confusion, but they’re actually straightforward. In essence, they allow you to prioritize which flights you want to upgrade, and each one is valid for 500 miles of actual flight distance. In other words, a flight from Los Angeles to San Francisco (a distance of 337 miles) would require just one certificate, whereas a flight from Miami to New York-JFK (1,089 miles) would require three certificates. 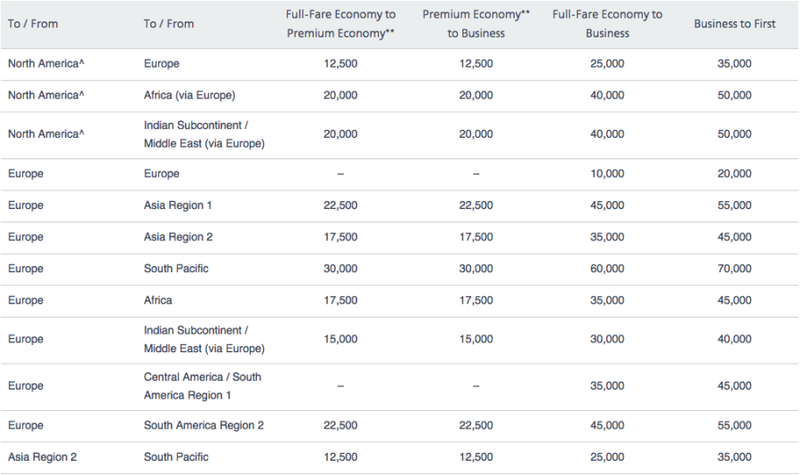 AAdvantage Platinum and Gold members must use 500-mile upgrades to move up to first class on most fares. AAdvantage elite members earn four 500-mile upgrades for every 10,000 elite-qualifying miles flown beginning March 1st (or whatever date you first qualify for status). All members can also purchase 500-mile upgrades online or at airport kiosks for $30 each (or $35 over the phone or in-person). Finally, you can redeem 35,000 AAdvantage miles for eight 500-mile upgrades, but at less than 0.7 cents per mile, that’s a terrible value proposition. If you’re a former US Airways elite member, this system is very new to you, but fortunately, steps have been taken to ease you into it. For every 10,000 Preferred Qualifying Miles you earned from March 1, 2014 (or the date you qualified for Preferred status) through February 28, 2015, you’ll be given four 500-mile upgrades (up to a maximum of 24). If you’re a newly-minted AAdvantage Gold or Platinum member, you can use these on flights over 500 miles for you and a traveling companion. You can request an upgrade as soon as you make your reservation, even if you don’t have enough (or any!) 500-mile upgrades at the time. You just need to make sure to have the correct amount prior to departure. Just like US Airways, these complimentary upgrades clear into X class, though American has removed that fare class from ExpertFlyer, so there’s no easy way to search ahead of time. The only way to check availability is to call; you could also use the seat map to get an idea (keeping in mind that these maps may be unreliable if confirmed passengers haven’t selected a seat yet). Within each tier, the tiebreaker may surprise some; it isn’t the fare class, but rather the time of the initial upgrade request. This is one of the big benefits of being able to request an upgrade without having the requisite number of 500-mile upgrades at the time; it will give you priority within your elite status tier. This same hierarchy is then carried over to the gate. 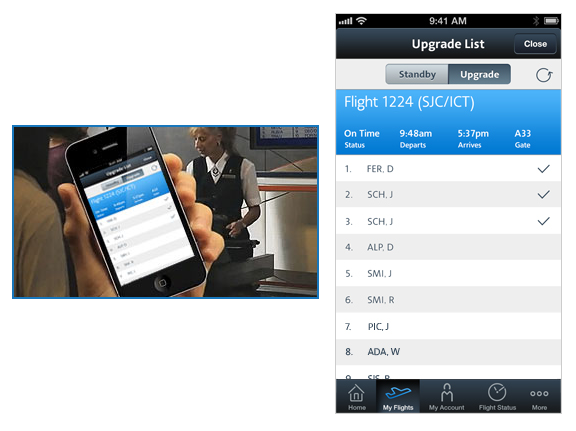 The time you request your upgrade can significantly impact your spot on the upgrade list! However, what makes this process very interesting is that, according to American’s upgrade FAQs page, the type of upgrade instrument used is irrelevant when determining your priority on the standby list. Again, it’s status first, then the date and time of your request. That means an Executive Platinum member who decides to use a SWU certificate 2 days before departure would fall below an Executive Platinum member who requested a complimentary upgrade two months prior. If you made a US Airways reservation and your flight is operated by American, you can search for available upgrades using the choose/change seat option during check-in on AA.com. This is complimentary for Executive Platinum members on all flights and for Platinum and Gold members on flights of 500 miles or less; if upgrades aren’t available, these members will automatically be added to the airport standby list. For Platinum and Gold members on flights longer than 500 miles, you must use (or purchase additional) 500-mile upgrades, and there’s no airport standby option. If you made an American reservation and your flight is operated by US Airways, all elite members enjoy complimentary upgrades, and you’ll see the option to upgrade during check-in if seats are available. You can also request to be added to the standby list, though you’ll need to be the only person in the reservation. The countdown is on to the integration of AAdvantage and Dividend Miles! Integrating two airlines with individual cultures, systems, and frequent flyer programs is a daunting task, and I must applaud American and US Airways for being proactive and giving plenty of notice of these upcoming changes. I’m virtually certain that we’ll hear of glitches, missed upgrades, and other mishaps throughout the rest of 2015, but hopefully this post has given you a detailed overview of how the upgrade process works currently, and how it will change after the merger is complete. What are your experiences with upgrading on American and/or US Airways?